The 30 inch VIGO Matte Stone Farmhouse Kitchen Sink is constructed from VIGO's proprietary non-porous solid matte stone that resists stains, while the sink's 10mm radius curved corners are designed for functionality and easy cleaning. Choose your sink style: Install with either the slotted or flat apron on display for your modern kitchen upgrade. Includes a sink drain strainer and embossed VIGO cutting board. 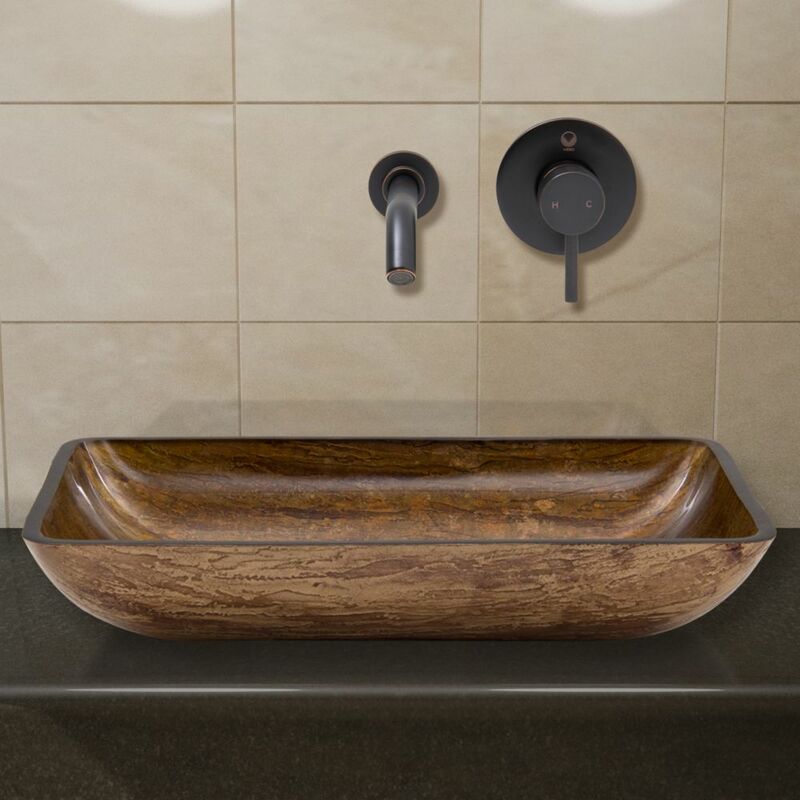 Every day is as lovely as "Brown and Gold Fusion" with this beautiful Vigo sink. Style, quality and attractiveness set this sink in a league of its own. Handmade with possible unique and slight colour variations, so no 2 sinks are identical. Solid tempered glass construction Scratch-resistant glass Non-porous surface prevents discolouration and fading Stain-resistant, easy-to-clean surface. Polished glass interior with textured exterior above counter installation Diameter: 16-1/2-inch Height: 6-inch Glass thickness: 1/2-inch 1-3/4-inch standard drain opening Limited Lifetime Warranty.